How much should you care? Sure, it’s easy to do or return favors for others, especially when they’re loved ones, but what about making a commitment to look after a stranger and become a caregiver in Canada? If you are asking yourself this question, then you must be thinking of becoming part of the thousands of Filipino caregivers in Canada through the Live-in Caregiver Program (LCP). Calgary Tower is a 191-metre (626 feet) observation tower located at downtown Calgary. Whether you are leaning toward “already decided to leave” state of mind or simply want to add caregiving to the list of career change options on your list, one thing is for sure: caregiving will teach what you should truly care about in life. 6. Travel out of your comfort zone. So whenever you can, pack your stuff and discover new places. You may get lost in the airport or on the street (my innate ability) sometime, but eventually, you’ll find your way by politely asking for help. With the help of a fully charged phone filled with navigation mobile apps and lots of cellular data, you are sure to find your way around, as well. Cinderella Castle at Disneyland Resort in Anaheim, California, USA. 5. Welcome a conversation (even when you least expect it). Sometimes, there are many things that keep you busy. Sometimes, there is just so much to think about and do. The person sitting beside you might just be waiting for you to set your props aside—phone, book, or newspaper—before starting a conversation. Grandma may want to travel back in time through her story of adventures in safari and Rocky Mountains, for example. Also, listen well. Don’t just stare and nod. Ask and give feedback. You’ll be surprised that you are soon sharing stories, as well. You might not even realize how much time has gone by. However, you will definitely remember the sincerity and pleasantness of each conversation. With a nice weather and majestic view, there’s a lot to talk about. 4. Have and practice a ton of patience (running out is not an option). I know I’m patient. I put up with long lines, buffering videos, and late buses and trains. As a caregiver in Canada, though, I realized I could have even more patience if I make it a part of my daily vitamin intake. Be patient. Wait for the person to show his other side, the good side. (Everyone has one.) Remain calm in asking questions and waiting for answers. When asking a toddler what ice cream flavour she wants, for example, just wait. A tough decision is about to be made, after all. Even when grandma asks your name for the fifth time, answer it as though it was the first, and then tell the history of your name. Maybe it is a combination of your parent’s name or maybe you were named after a famous national artist. 3. Spend enough time and undivided attention. Yes and no are often misused or interchanged. If you can’t work because you are not feeling well, don’t imagine yourself as Popeye eating spinach and ready to save the day. Say no when all you want to do over the weekend is watch free movies and catch up on teleseryes while munching on butter-filled popcorn. Isn’t that the best way to relax? On every occasion that you say the colossal “yes”, on the other hand, be there with the entirety of your consciousness. You’ll get the same attention in return. Spend time with nature and take someone with you. So, you thought words of wisdom are only seen in books. You can learn from everyone around you—if you’re paying attention. A toddler can patiently teach you how to sing, dance, and talk like Dora, while grandma can broaden your vocabulary through Scrabble with high score words you haven’t heard of yet. Losing against the powerful memory of grandma will help you remember the words. (It’s understandable if you can’t remember how many times you are defeated). On weekends, you can also go to a public library. It isn’t exclusive for bookworms who are undoubtedly ecstatic with the collection of every imaginable subject (genealogy or geocaching?). Learn from magazines, ebooks, and audiobooks. All of these things are also available online. Music and movie buffs can spend hours choosing from classic to modern genres. Don’t forget to return the checkout items before the due date, though. Memorial Park Library is the first public library building in Alberta, Canada. 1. Choose to truly care. Patience can take you beyond what you can contain, but it doesn’t build relationships or bring about fulfilment. If you choose to truly care, although it takes time, you’ll appreciate every “thank you” from grandma for the well-researched supper (from the YouTube channel of Iron Chef) and a hug from energy-packed kid for an afternoon trip in the park (stay clear from mosquito bite). In spite of being there for others on a daily basis don’t forget the most crucial task: take care of yourself. It’s simple, you may think, but when was the last time you did something special for yourself? Did you watch Filipino movies with your friends, try juicing, or buy something for yourself? In summer plant romaine in the garden. Romaine is a great source of vitamin A, vitamin K, vitamin C, folate, and potassium to name a few. You should start caring for yourself (and not feel guilty) before lending a hand to others. It’s a lifetime commitment not only for caregivers. The list can go on, but these lessons sum up my experience in one way or another as a caregiver in Canada. I don’t know what my next venture is yet, but I will try hard not to forget the lessons that I learned through the years. I hope you’ll do the same, whether you decide to become a caregiver abroad or look after a loved one in the Philippines. Show how much you care and appreciate every effort before the other person does. Isn’t it rewarding to see how happy your dog is with his shiny, tangle-free hair, and to listen to your mom telling stories of how talented the artists are and already asking when is the next concert? You may not notice but slowly as a caregiver in Canada or wherever you are, caring makes you a better person, not because of the number of good deeds you do for others but by not counting or weighing the kindness you’ve shown. Take all the lessons with you . . . and add more. Diet and Detox Tips from Nurture Spa Village Tagaytay! MUST Try Their RAW GOURMET Dishes! 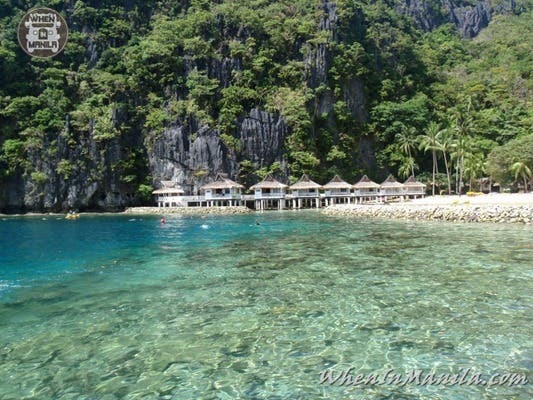 The Most Affordable Way to Travel Around the Philippines: Backpacking!